Our Local Community News - Charities, Good Causes, Fund-raising, etc. 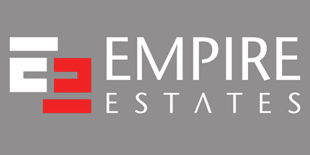 At Empire Estates we care about our local community and aim to share our enthusiasm, expertise and positive attitude with the people we meet and support. We actively raise funds for local charities and causes, volunteer at charity events and try to support good causes within the community. A few examples of this are detailed below. Empire Estates were proud to support Mayor Cllr. Arshad Mahmood and his two amazing charities at his last Gala Dinner as Mayor Of Brent 2018-2019. Empire Estates were pleased to accept the invitation from Brent Mayor Cllr.Arshad Mahmood to attend a dinner in honour of businesses that have made a contribution to the Brent Community and Businesses which work in collaboration with Brent Council. Rob and Zain attended the function on behalf of Empire Estates and thank the Mayor for his invitation, and for acknowledging the hard work that Empire Estates does in the Borough. Willesden Green Artwork Unveiling - Saturday 12th March 2016. What a fantastic day this was! There was great food, live music by various artists, fun fair and a variety of events throughout the day. The Event was sponsored by Empire Estates in conjunction with Brent Council, Ary Digital and Haji Baba. We were thrilled when the Mayor of Brent Cllr Leslie Jones (MBE) came to see us and gave us her support. We are really grateful for all the support we have been given and would like to extend our thanks to everyone who made this such a wonderful day. A selection of prestige super cars journeying through scenic routes, winding roads and national parks through the Highlands on a 5 day racing and driving skills challenge putting each drivers skills to the test. All of the team at Empire Estates were thrilled when our sponsored car crossed the finish line first! A fantastic day out for all the family, with food, art, magic, face painting, sweets and more. All of the team were overjoyed when we were presented with an award for our service to the local community. A celebration for all of Willesden Green, the only day of the year when the High Road and Walm Lane get shut and the whole road gets involved in the music, the dancing, the food and the atmosphere. 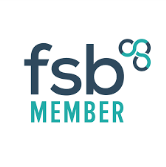 As you can see from the photo we love being an active part of the community. A fun packed family day out, with stalls selling various items, barbecue, home made cakes and a bouncy castle for the kids. Empire Estates managed to raise £200.00 for St. Margaret Clitherow School, what a great result! After twenty years of property excellence Empire Estates opened its newly refurbished and expanded offices in October 2015. The Mayor of Brent - Cllr Lesley Jones was more than happy to show her support for Empire Estates. Rob was pleased to represent Empire Estates at the BAME National Conference 2018, where key points were discussed including discrimination and racism in the housing sector, changes to housing benefits and the roll-out of universal credit and how this will have a negative impact on the most vulnerable in our society. Dawn Butler MP for Brent congratulated All at Empire Estates for our hard work, ensuring that all tenants are given an equal opportunity and are not judged by their Ethnic Backgrounds.